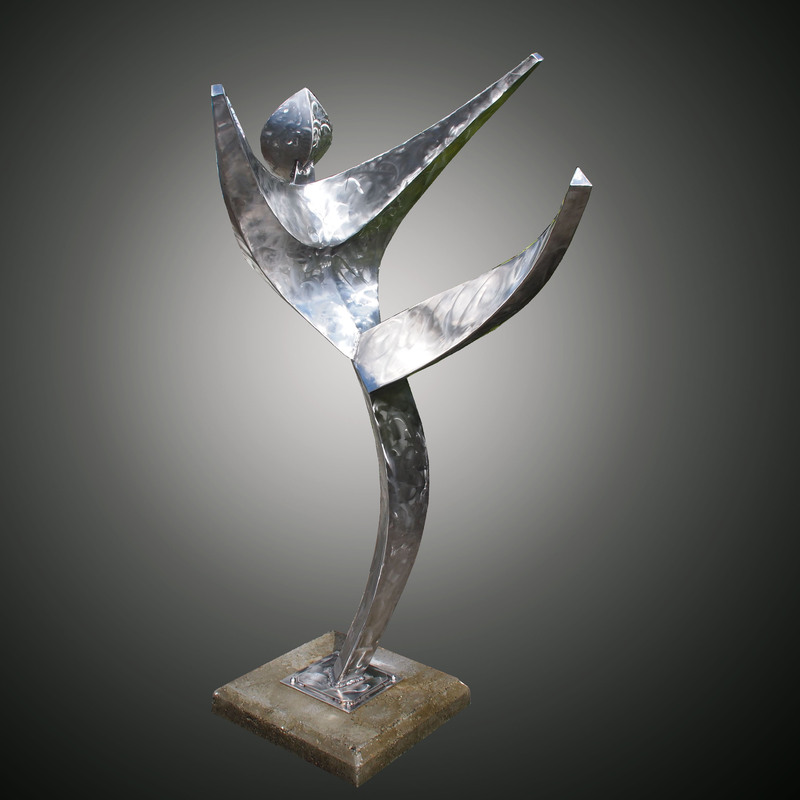 My original Aluminum “Dancer” sculpture inspired this one. The legs were of similar configuration but slimmed down to have a more balanced look. The torso and the backward sweep of the arms is a new design after viewing multiple images of ballet dancers in “Swan lake to capture the grace of the ballet dancer. 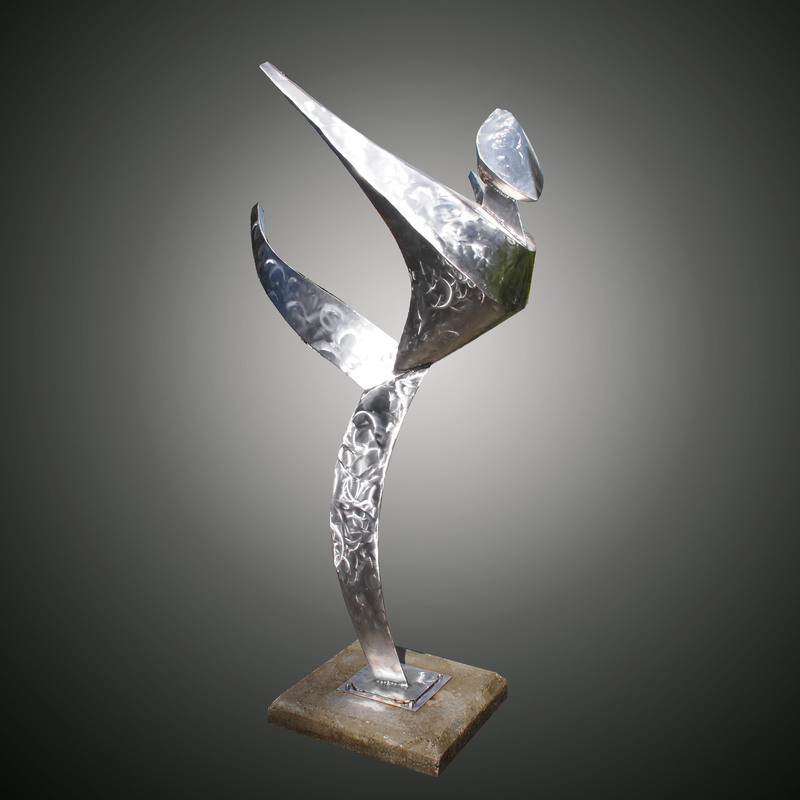 The head attachment to the body was inspired by the Lumbardi trophy when the Sea Hawks won. The challenge in the design phase was that the surfaces have to be developable to suit the unyielding nature of stainless steel. Paper models were made to test the feasibility of the bending before commitment . 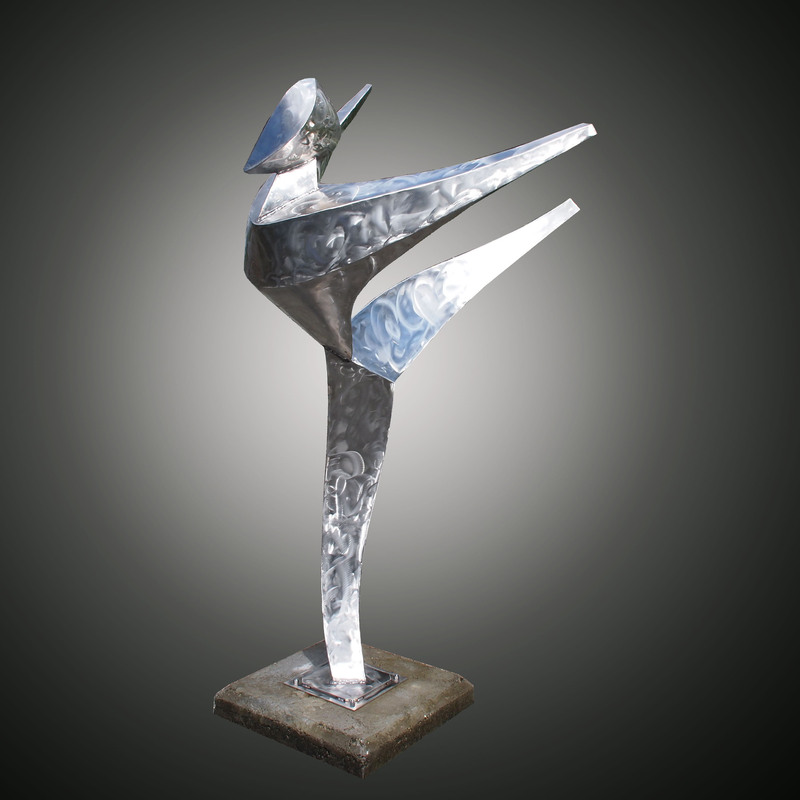 This sculpture is constructed of 16 gauge stainless steel. The curvature in the sheet metal are hand forged using a rubber mallet on a cylindrical anvil. The lower half of the leg is strengthened by tripling the layers of metal to ensure adequate strength to withstand abuse. I estimated that it should withstand 100 lb applied to the tip of the outstretched leg with a safety factor or 3. The body attachment at the waist was also analyzed to ensure adequate strength. The stainless steel base plate is 10” x 10” with 4 half-inch diameter holes at the corners for attachment to the 3/8 inch bolts embedded in concrete. 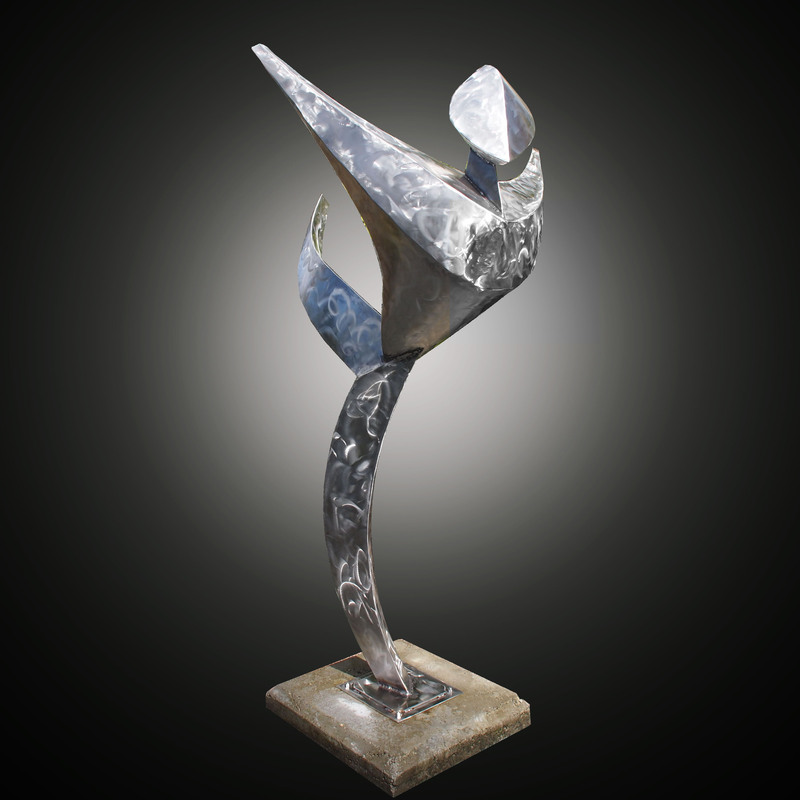 The dimensions of the sculpture are 66” tall, 46” wide, 36” deep.